PrimeRx™ pharmacy management software is our signature technology solution for today’s efficient, patient-focused businesses. PrimeRx™ will quickly become the backbone of your pharmacy and serve as the centralized processing center for all workflow operations. The PrimeRx™ system is highly user-friendly and offers a complete suite of tools that can be adapted to meet your pharmacy’s specific needs. Many of these features are unique to PrimeRx™ and are unmatched by our competitors. PrimeRx™ stands apart in the pharmacy software category as an intelligent, comprehensive management solution. 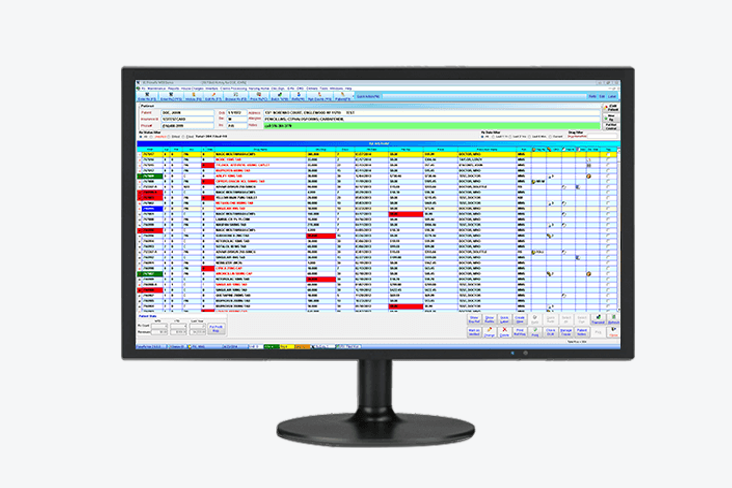 PrimeRx™ is ideal for independent retail pharmacies and for multiple-pharmacy managers. PrimeRx™ is also ideal for outpatient hospital pharmacies with customized workflows and automated fill, bill, and communication processes. PrimeRx is a pharmacy HIPAA-compliant, pharmacy management solution. “At a glance” visibility of all refill management processes through a Refill Compliance Dashboard. Dashboard can be customized to include preferred metrics including scheduled refills, missed refills, expired refills, and Med Sync Rx. 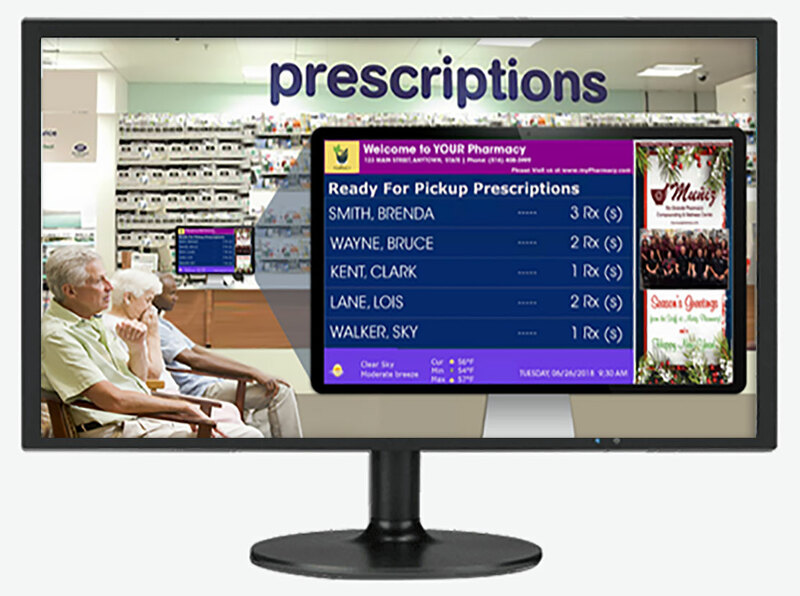 Communicate with patients while they wait for their prescriptions. Allow patients to see precisely where they are in the prescription-processing queue. For more information Contact us or Schedule a Demo. What kinds of Pharmacies use PrimeRx™? Outbound calls, text messages, and emails allow easy communication with patients regarding refill and dosage alerts, and pickup notifications. System also allows for transmission of birthday greetings and other personalized messages to patients. Patient Medication Adherence Reports provide immediate identification of patients at risk of non-adherence, and those not compliant with refill routines. Improved Pharmacy Star Rating – Better insight into which patients are non-adherent will help address underlying causes. This in turn will positively affect overall pharmacy performance. Calculation of PDC/MPR Values – Easily calculate medication possession ratios (MPR) and proportion of days covered (PDC) values to determine adherence rates. PDC/MPR measures can be determined either at the patient level, or for an entire population. FillMyRefills – Allow patients to easily request refills through an app/web-based refill routing service. Remote Backup Service – Backup all data securely and safely to a cloud server. Clinical Pharmacology – Online reference guide that is accepted by boards of pharmacy in all 50 states. Clinical Pharmacology provides a compendium that fulfills drug reference requirements for licensed pharmacies. Patient Counseling – Provide patients easy access to critical information on key health and drug-related topics. Information is accessible in as many as 16 different languages. Pre/ Post-Editing Services – Reduce incidence of documentation errors and save time by pre-populating certain fields (i.e. pharmacy name and address). Editing services also identify variables that could affect a pharmacy’s rate of reimbursement. e-Voucher – Patient assistance service whereby rebates and other savings are automatically applied, thereby reducing patient out-of-pocket costs. Prescription Price Analyzer–Review and compare pricing for prescription drugs and other common pharmacy products. Certified by Surescripts to handle EPCS (Electronic Processing of Controlled Substances) transactions. Controlled Substance Reporting automatically tracks CSR information and uploads file to the appropriate state agency (where permitted). Multiple Language Module – Supports patient counseling in as many as 16 different languages. Pharmacies face an ongoing challenge to protect patient health information (PHI). While manual logs and handwritten prescriptions are being replaced by electronic records, opportunities still exist for PHI breaches to occur. Pharmacies can be especially vulnerable when receiving prescriptions from physicians, or when transmitting information to insurers. Our Prime Sfax600 system allows easy management of the important fax communications that flow between pharmacies, medical offices, and health care facilities. PrimeSfax allows you to send, receive, add notes, digitally sign and manage faxes without printing a single hard copy document. Safely manage the critical flow of faxes with our powerful, HIPPAA compliant, flexible and easy to use solution. 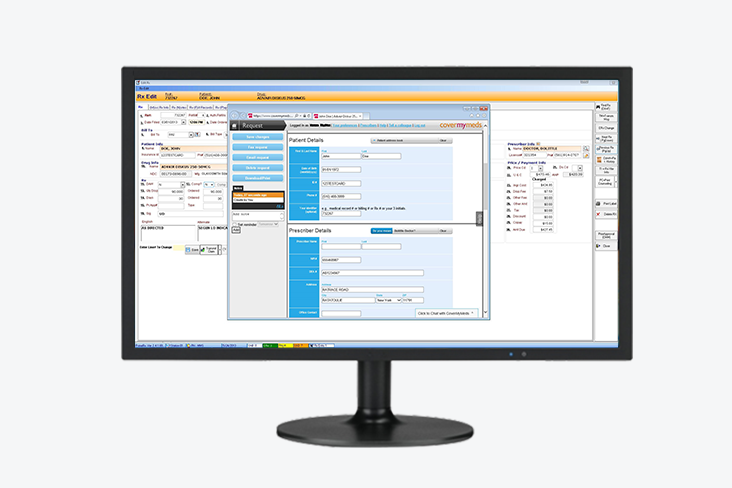 PrimeRx™ allows pharmacies to receive prescriptions electronically via a secure web portal. 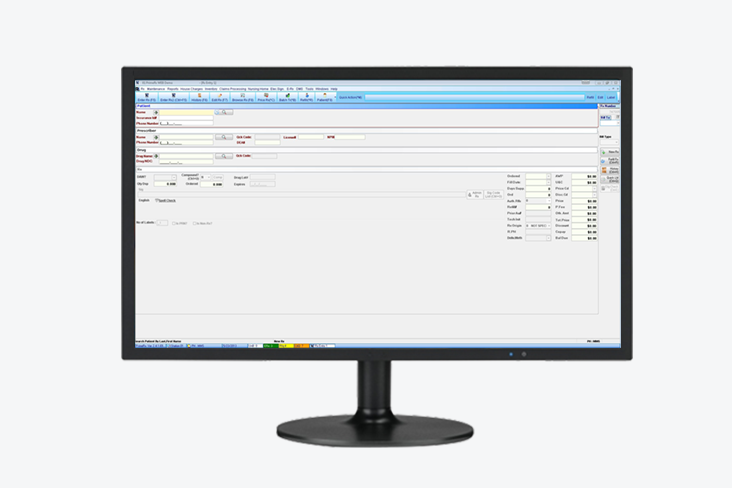 Incoming prescriptions are seamlessly moved to a folder located on the pharmacy’s network. PrimeRx™ can process multiple transactions simultaneously, which means physicians’ offices will never encounter a busy signal when attempting to fax a prescription. Improved claims processing and insurance management for increased revenue and profitability. Why is PrimeRx™ so Advanced? Identify key metrics and receive regular reports relevant to that data. Business intelligence reports built into the system - why pay extra to third-party vendors? Keep your pharmacy open 24/7 by scheduling repeating processes including such as refills, data backups, and automated report emails.